I have watched Sarah Grace make black bean brownie muffins, with no recipe and without measuring anything (truly in SG fashion!). I was in awe. It was also about an hour before they needed to be ready! She was making them for a children’s birthday party of a family friend. Baked goods are a staple for special occasions. In these circumstances, we really, really, really, want the baking to turn out, and we really, really, really, want our guests to enjoy it. I love being able to share my baking, but I like it to be a “surprise”. No stress, no pressure, and if I am not satisfied I can keep them to myself and no one would know the difference!! Sometimes, meringue recipes call for cream of tartar or lemon juice. Some say to use older eggs instead of fresh eggs. One thing is for sure, all the recipes beg you to use a clean, dry bowl. I’ve made meringues many times, but I was curious to understand the merit (if any!) behind these suggestions. First, I wanted to understand what happens to the egg whites when you whip them. Egg whites are about 90% water and the rest is made of proteins like ovalbumin, conalbumin, and ovomucin. The egg white proteins are polypeptide chains that have hydrophilic (water-loving) and hydrophobic (water-hating) components. When egg proteins are cooked, they denature and new links are formed. When egg whites are whipped, a similar phenomenon occurs where the proteins come apart and form new bonds. The proteins in egg whites are immersed in water. So, they arrange in a way to shield the hydrophobic tails from water. When we start to whip the egg whites, we force air into the water/protein arrangement. This causes a disturbance in the original structure, as monomer proteins break off and re-arrange around the air. As you whip, this process continues and your egg whites start to grow in volume. If your bowl is not clean, traces of oil will interfere with stabilizing the air bubbles in egg whites. Adding cream of tartar or vinegar will increase the stability of the egg whites because they are both acidic ingredients. Copper bowls create copper ions that react with the egg white proteins. 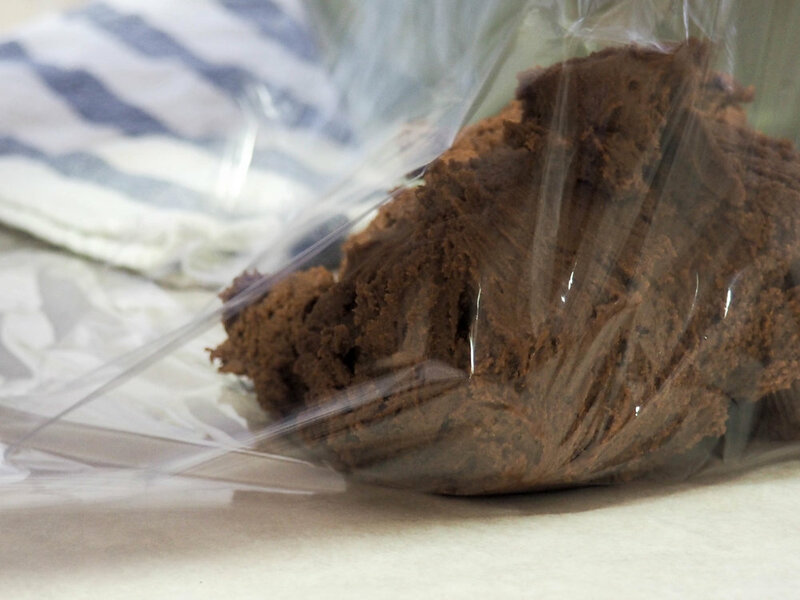 This creates a soft, elastic, and moist long-lasting whip that coagulates at higher temperature. If you are making soufflé, it will rise higher because the egg whites remain this way for longer before they set. It is also more difficult to over-beat using a copper bowl, adding cream of tartar or vinegar. The pH of a fresh egg is ~7.6. As CO2 diffuses out of the shell, the pH increases to ~9.2 after a few days. Fresh, room temperature eggs whip well because they are more acidic. Like adding cream of tartar, this acidity helps stabilize the egg whites when they are whipped. Further, fresh eggs are more viscous, therefore they form more stable but less voluminous whites than older eggs. Using cold eggs has the same effect (more stable, less volume). conversely, a pinch of salt decreases the viscosity, producing greater volume but lessens stability. When you add sugar to whipped egg whites it causes the volume and lightness of the whites to decrease. However, it stabilizes air molecules in the whites and allows for stiffer peaks to form. Adding more sugar per egg white (for example, 57 g to 1 egg white) will create a very stiff meringue capable of holding custard. Adding less sugar (28 g to 1 egg white) creates a softer meringue that will caramelize to a golden-brown colour when baked, suitable for meringue that belongs on a pie. If no sugar is added, the whipped whites will deflate and when cooked will be flat and colourless. Preheat oven to 275°F (135°C). Line two baking sheets with parchment or use your silpat mat. 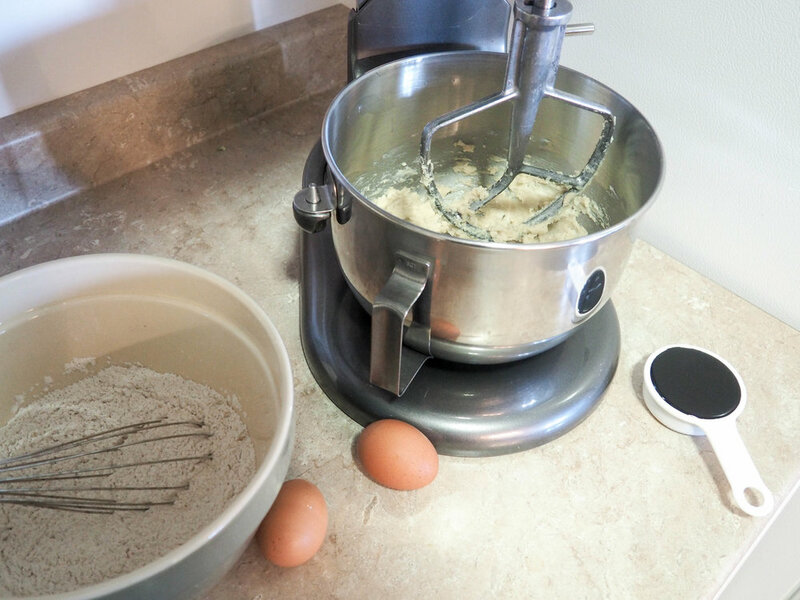 In a clean bowl, use your electric mixer with whisk attachment to whip egg whites until they hold medium peaks. Add salt and whip. Add cornstarch and continue to whip. In a slow, steady stream, add sugar and continue to whip until whites are stiff and glossy (10-15 minutes total). Sift cocoa powder over the stiff whites and gently fold in. Make 10-12 meringues (5-6 on two trays) spaced apart. My technique is to use a large serving spoon and a soup spoon. I “core” out a meringue using the serving spoon and then slide it onto the tray using the soup spoon. I then use the back of the soup spoon and swirl the meringue (adding additional cocoa on top). Bake for 1 hour. Switch off the oven and leave the meringues in it for 15 more minutes with the oven door slightly open. Place them on a wire rack to cool completely. Meringues are best served on the same day but can be stored in an air tight container for up to 3 days. The first few days I eat them plain, and if I am worried they are getting dried out, I make chocolate whipped cream and serve on top. Have fun!